Since opening a year ago, The Florist on Stanwell Road, Penarth has gained an excellent reputation for its creativity and great customer service. We caught up with proud owner, Julian Trott, to nd out what oral inspiration we can expect from him this winter season. Julian, what can customers expect to see at The Florist this winter? Winter is a magical time of the year. 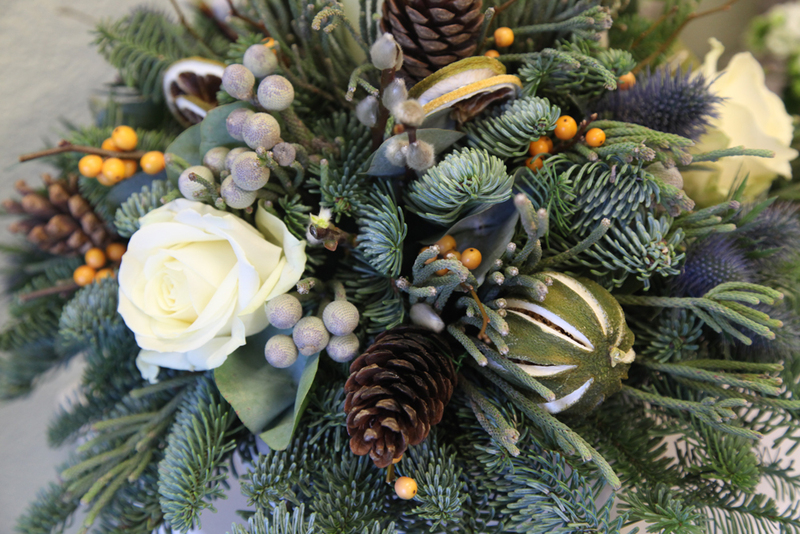 Christmas is just around the corner so our table decorations will be much in demand. I think there’s nothing more beautiful than a stunning centrepiece to set off Christmas lunch or dinner. This year I’ve designed a range of mantle arrangements and garlands, and we have a gorgeous range of door wreaths that are simply quite stunning. I think they’ll be a big hit with my loyal Penarth customers as they are quite unique and have what I think is ‘the right look’ – wholesome and natural. This year there’s de nitely been a move away from the showy or garish. What about weddings? Have orders slowed at all because of winter? Quite the contrary, I’m enjoying lots of new bookings at the moment and we’re really busy looking ahead to spring and summer – I even have advance orders for autumn 2016 and beyond. What’s exciting though is the rise of the winter wedding – some couples are being quite imaginative and using this time of year to get married – in some cases the costs for venues and catering can be a little keener but, more importantly than that, it creates opportunities for different themes. Being creative, I love rising to the challenge so welcome weddings whatever the time of year. What about gifts? Can you help with those? at the moment and, I think, a gift that’s been grown or hand-made, and has had some love put into it, will always be gratefully received. We’re big fans of Julian. He does all the oristry for the fabulous Holm House. He’s a lovely guy – so creative, and The Florist always has some quirky, cool and gorgeous blooms on display. We particularly love the wreaths and he has some beautiful glassware on the shelves. Pop in, we guarantee you won’t be disappointed.